Rep. Dave Brat, R-Va., in a June 2018 file photo. Brat lost his re-election bid to Democrat Abigail Spanberger. Before the election, Brat blamed the Democratic fundraising platform, ActBlue, for allowing Spanberger to raise more money than he was able to. Rep. Tom Emmer , R-Minn., will lead the National Republican Congressional Committee in the next Congress. Emmer says Republicans need to build their own ActBlue-like fundraising platform. The gusher shocked Republicans. In a late-October debate, Virginia Rep. Dave Brat told voters, "Millions and millions of dollars are coming in from Nancy Pelosi and every leftist group including ActBlue. Please go research those groups, they are trying to buy this election." ActBlue isn't a party committee. But as a nonprofit entity, performing much like a utility, it processed credit card contributions totaling $1.6 billion in the current election cycle, the money flowing from mostly small donors to Democratic candidates and causes. Any Democratic candidate or organization can use ActBlue. "That's something that definitely has to happen on the Republican side," said Rep. Tom Emmer, R-Minn., the incoming chair of the National Republican Congressional Committee, the official party organization helping to elect Republicans to the House. Emmer is pushing the idea of a GOP version of ActBlue — something that other conservatives have tried in recent years without success. "This past midterm shows that waiting to do that has frankly put our candidates at a severe disadvantage," Emmer said. The Republican Party doesn't have an inherent problem reaching small donors. President Trump's re-election committee is gobbling them up: $13.6 million since he was sworn in. And small donors used to be a powerful weapon for the GOP. But that was 30 to 50 years ago, when Republicans raised money from grassroots supporters via direct mail and phone banks. Now, the party's strength is in billionaire money. President Trump this month honored the philanthropy of one big conservative donor, Dr. Miriam Adelson, by giving her the presidential medal of freedom. "I know the work you've done and you have been truly incredible," Trump told her in a White House ceremony for new medal recipients. Charity aside, Miriam Adelson and her husband Sheldon, a casino magnate, are the top-ranking Republican donors, giving nearly $300 million in the past four years. 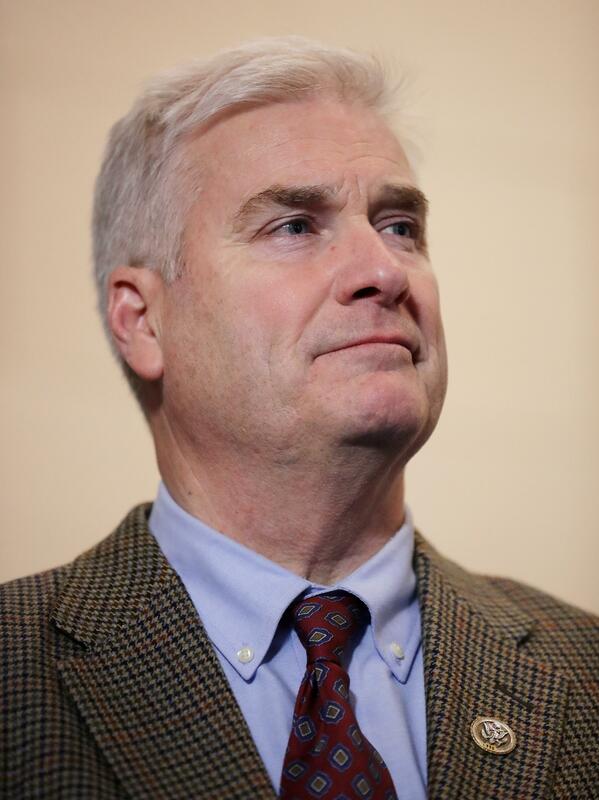 Emmer's goal of a party-wide digital platform has its own obstacles. One problem: Republicans already have plenty digital fundraising platforms. As Emmer pointed out, they're run by political consultants as profit-making enterprises. "I want to be careful with this, because this isn't to be critical of anybody who's been involved," he said in an interview with NPR. "But it's just a fact that there are too many people who I think have protected territory, and they want to be that facilitator because of the financial incentive." Another problem: Any new fundraising platform faces a potential intra-party conflict. If it has links to party organizations, like Emmer's NRCC, its hands would be tied whenever a Republican insurgent challenged a sitting House member. "You're going to have outsiders who are trying to disrupt the system, who are very popular with small donors, and the party's going to want to stand behind their incumbent," said David Karpf, a political scientist at George Washington University. "Doing what ActBlue does requires flexibility and giving up control," he said. "The Republican party historically hasn't been great at doing that. They've wanted to provide a slate of candidates and then encourage people to donate to 'em." Small donors are one of the big reasons Democrats now control the House of Representatives. The independent digital fundraising platform called ActBlue helped make that happen. Now Republicans want their own version of ActBlue. Here's NPR's Peter Overby. PETER OVERBY, BYLINE: In the House races, Democrats raised more than $62 million from donors of $200 or less. They beat Republicans among small donors by better than 2 to 1. This gusher shocked Republicans. Here's Virginia Congressman Dave Brat in a pre-election debate. DAVE BRAT: Millions and millions of dollars are coming in from Nancy Pelosi and every leftist group, including ActBlue. Please go research those groups. They are trying to buy this election. OVERBY: Buying it with contributions averaging less than $50, according to ActBlue data. ActBlue isn't a party committee. It's a nonprofit entity, like a utility, facilitating the flow of liberal money by processing credit card contributions at no charge to candidates. Any Democratic candidate or organization can use it. This election cycle, it handled contributions totaling $1.6 billion. TOM EMMER: That's something that definitely has to happen on the Republican side. OVERBY: Minnesota Congressman Tom Emmer is the incoming chair of the National Republican Congressional Committee, which exists to help elect Republicans to the House. He's pushing the idea of a Republican ActBlue. EMMER: This past midterm shows that waiting to do that has frankly put our candidates in a - at a severe disadvantage. OVERBY: Here's the ironic part - small donors used to be a powerful weapon for the GOP 40 years ago. But now the party's strength is in billionaire money. One example - Miriam Adelson. President Trump gave her the Presidential Medal of Freedom this month for her philanthropy. PRESIDENT DONALD TRUMP: I know the work you've done, and you have been truly incredible. Here to celebrate Miriam's award is Sheldon. OVERBY: Charity aside, Sheldon and Miriam Adelson are also big Republican donors, giving nearly $300 million in the past four years. Emmer's goal of a partywide digital platform has its own obstacles. Here's one problem - Republicans already have a lot of digital fundraising platforms. As Emmer pointed out, they're run by political consultants as profit-making enterprises. EMMER: I want to be careful with this because, you know, this isn't to be critical of anybody who's been involved. But it's just a fact that there are too many people who I think have protected territory, and they want to be that facilitator because of the financial incentive. OVERBY: Meanwhile, Trump's re-election campaign is gobbling up small contributions - nearly $14 million since he took office. Any new fundraising platform also faces a potential conflict. If it has links to party organizations, its hands will be tied whenever a Republican insurgent challenged a sitting House member. DAVID KARPF: You're going to have outsiders who are trying to disrupt the system who are very popular with small donors. And the party's going to want to stand behind their incumbent. OVERBY: David Karpf is a political scientist at George Washington University. KARPF: Doing what ActBlue does requires flexibility and giving up control. The Republican Party historically hasn't been great at this. They've wanted to provide a slate of candidates, say they're endorsed and then encourage people to donate to them. OVERBY: So any new fundraising platform might be going up against the Republican establishment. Peter Overby, NPR News, Washington. Transcript provided by NPR, Copyright NPR.